The Australian International Beer Awards is the one of the world's biggest annual beer competitions. Run by the Royal Agricultural Society of Victoria during Good Beer Week in May, the awards aim to celebrate the best of beer and brewing and gives Australian breweries the chance to have their beer appraised against their peers from from across the world. Last year saw the Champion Australian Beer trophy claimed by Perth's Beerland Brewing for its Wheat, with the Champion Australian Brewery trophies going to Mountain Goat (Large), Green Beacon (Medium), Black Hops (small) and Philter (Gypsy). In 2019, there are more than 30 trophies up for grabs, including two new ones: Best Fruit Beer and Best Wood Or Barrel-Aged Beer. Previously, gold medal-winning Fruit Beer and Wood- And Barrel-Aged Beer entries would compete with entries from the Herb & Spice, Honey, Smoke, Chocolate & Gluten Free Beer classes for the Best Specialty Beer Trophy. It's not just beer that's judged, however. The Crafty Pint is once again sponsoring the Best Media trophy in conjunction with Craft Instinct. It is designed to recognise and promote excellence in the coverage of beer in Australia across all media. 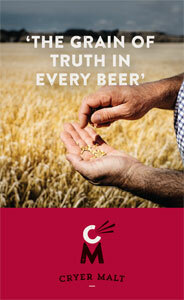 Whether you're a brewer or a writer, if you want to take part, you have until March 22 to complete your registrations.